Today began in Chamberlain, South Dakota. We slipped into the breakfast room at the hotel just before it closed at 9. The woman who came to shut it down saw we were still eating and instead of breaking down the buffet, talked to us about her five kids, the youngest of which is two and whom she described as very much like Stitch of Lilo and Stitch fame. We finished breakfast and checked out before check out time, unlike the day before when we got it extended. 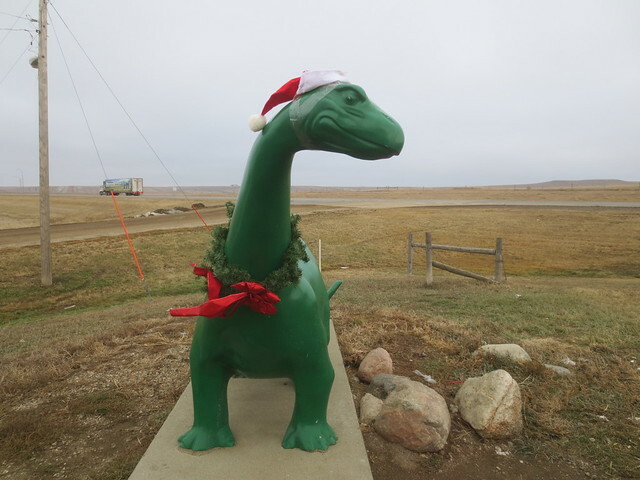 I was so excited to be getting on the road at a sensible hour given we had 10+ hours of driving ahead of us that I failed to notice I would need gas before too long, so about an hour after we got rolling we stopped at a Sinclair station with a festive dinosaur. 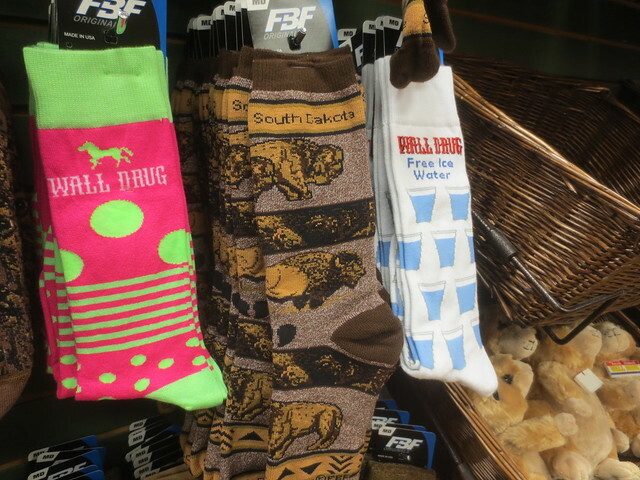 We got to Wall about lunchtime, so stopped at Wall Drug for some food and shopping. Mr. Karen found a wallet he liked and bought. I was tempted by several pairs of boots and some novelty socks but decided I wasn’t willing to spend the money or get rid of any footwear already in my collection to make room for these. 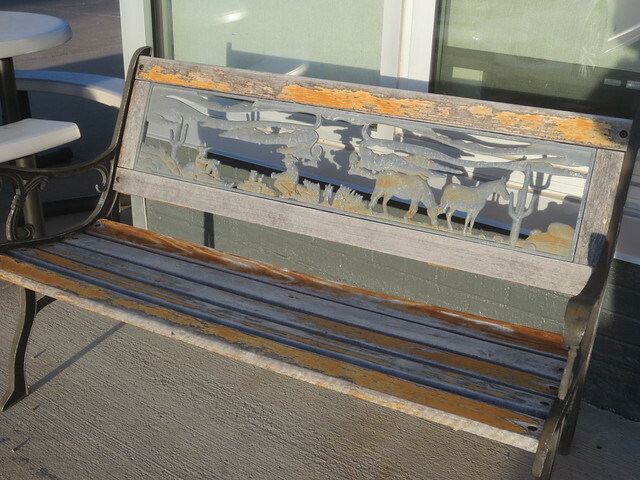 We angled up into Wyoming, where we needed gas in between truck stops, so ended up at a throwback service station that had an attached garage where they were actually working on cars, a single seater restroom accessed from the outside of the building, and this rustic bench. Oh, and two dogs next to the cash register. After Wyoming, we rolled into Montana, which does not feel quite so wide when snuck up on from below, but it’s still really big. We’ll spend the weekend here with family before completing the final stage of our relocation to Idaho for the winter.